Today’s farms.com news Update features a video by SPARK*AIR coordinator Carol Moore, who outlines the five Qs of good colostrum management for calves: quality, quantity, quickness, quantifying failure of passive transfer, and (well, it’s sort of a Q) making sure the colostrum is sQueaky clean. Carol, an Ontario Agricultural College student, reports on Vivianne Bielmann’s research into colostrum quality at the University of Guelph. See Carol and Vivianne’s video here. 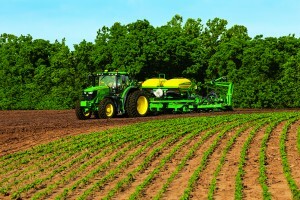 SPARK*AIR research videos appearing on the farms.com website are sponsored by the partnership between the University of Guelph and the Ontario Ministry of Agriculture, Food and Rural Affairs. 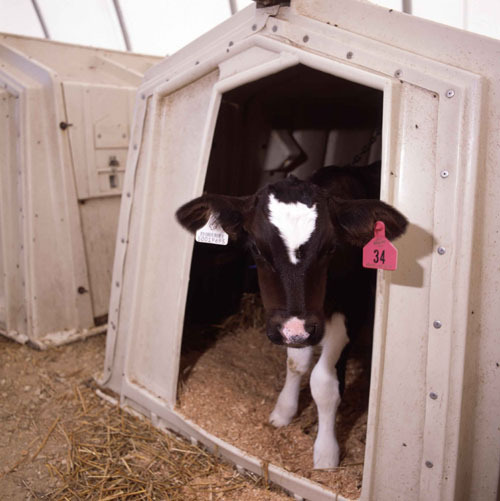 The photo below of a dairy calf in a calf hutch is from the Ontario Farm Animal Council photo library.